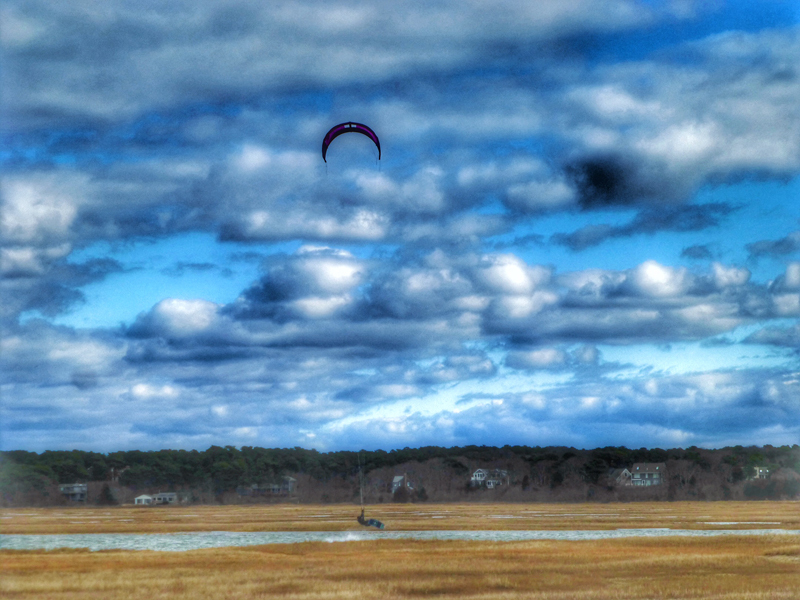 Kite Surfing On Cape Cod Bay… Brrr! 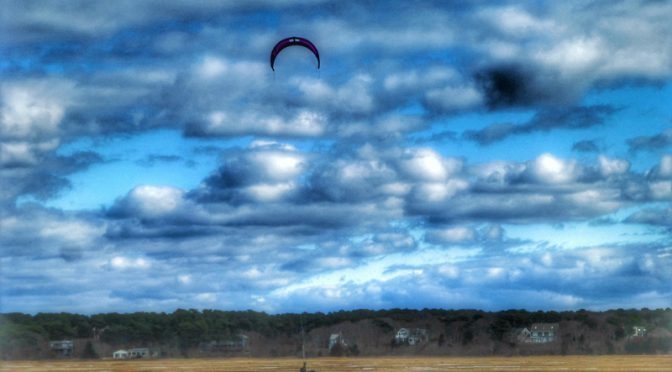 It has been freezing here on Cape Cod for the past couple of weeks with high winds. 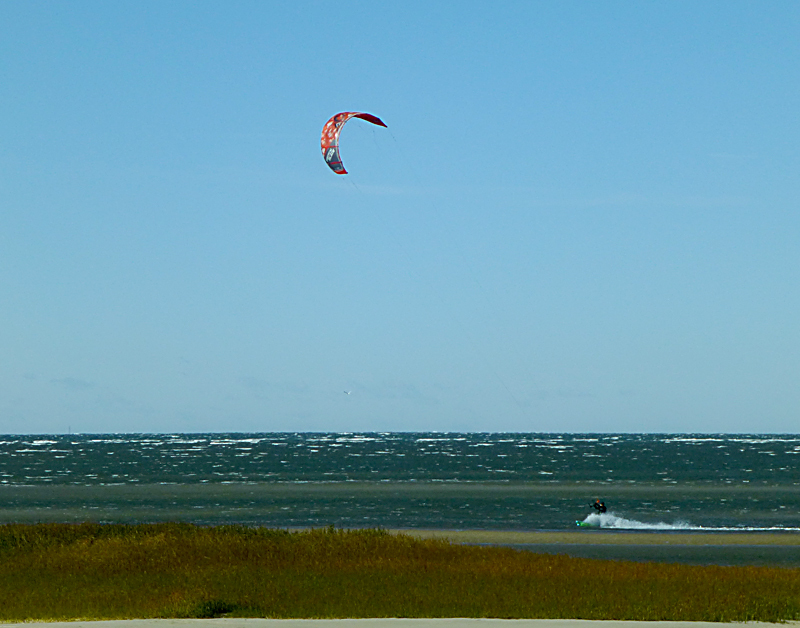 But that doesn’t deter the die-hard kite surfers who love the wind and don’t mind the cold. I thought this was pretty cool the other day. It was 27 degrees with at least 25 mph winds and he looked like he was having a blast! Look at those white caps on Cape Cod Bay! 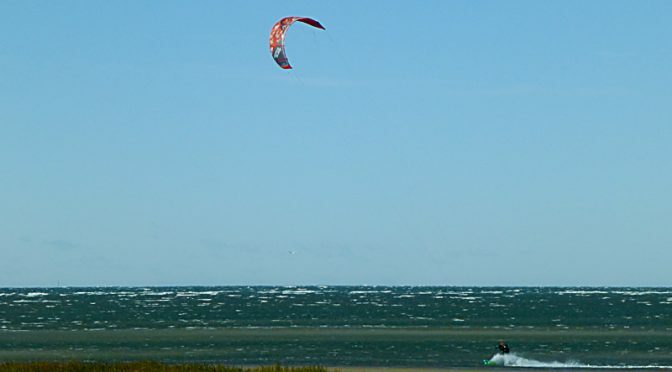 It was a windy day and there were plenty of kite surfers out enjoying the perfect windy conditions. 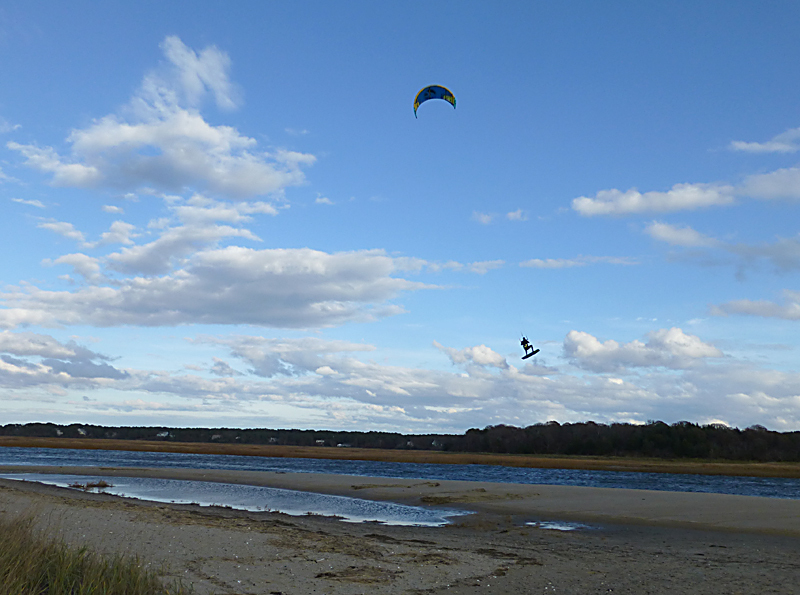 This kite surfer was in the salt marsh that was flooded at high tide. He was really enjoying himself. Love how he caught the wind and was airborne. Cool, don’t you think? It seems like the clouds in so many of my recent posts have been unbelievable… just spectacular! Wonder if it’s the winter clouds? 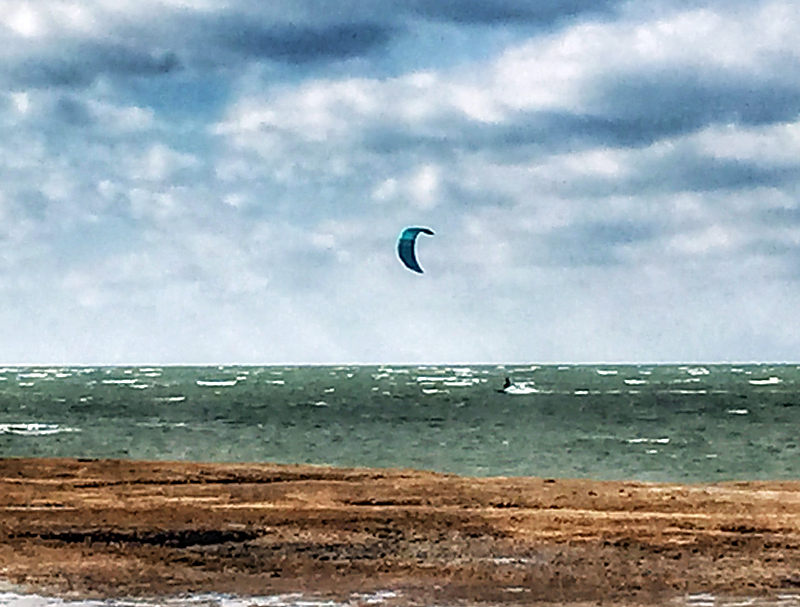 This Kite Surfer was surfing at low tide at First Encounter Beach. It was so cool! 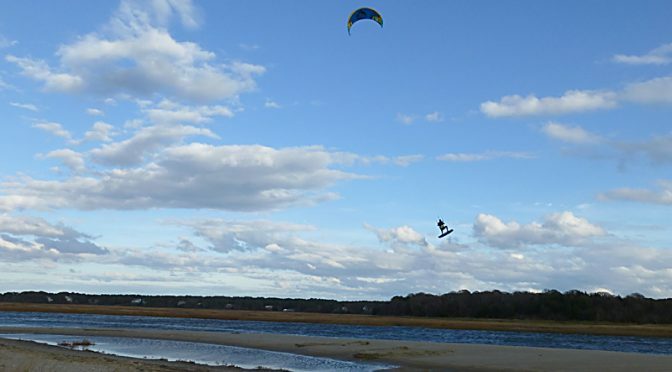 You can see the sandbars in front of him and behind him. 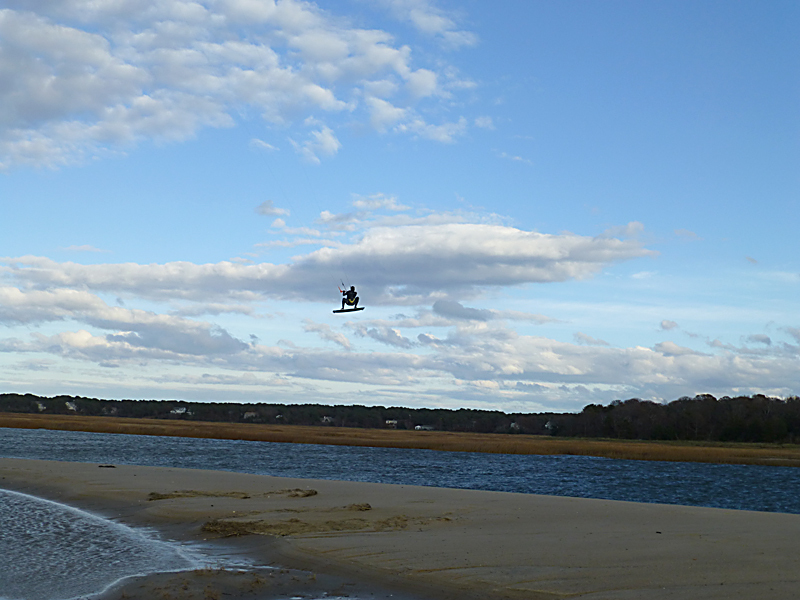 He was surfing on the water in between. He must’ve been pretty good to do that! 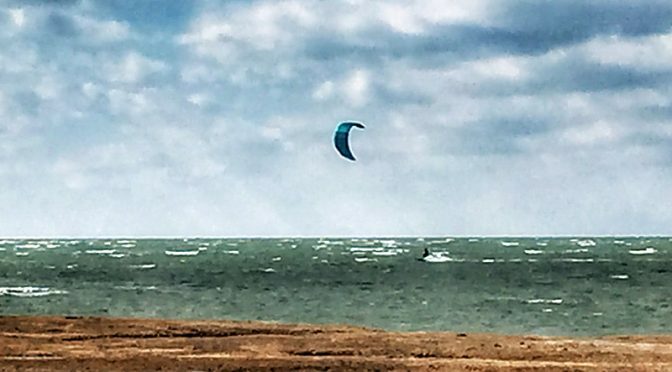 It’s so much fun to see the kite surfers out at anytime of the year when it’s windy. They just put on their wet suits and go out and have a blast!